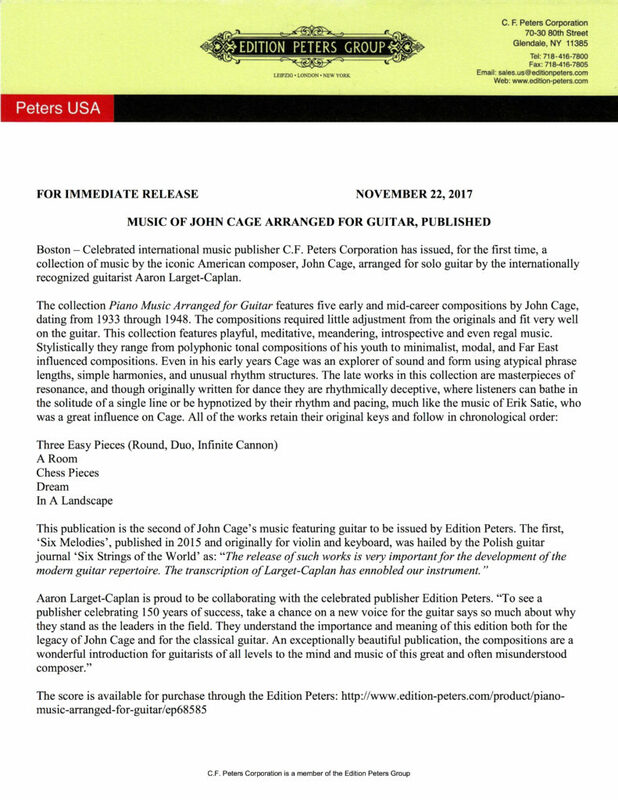 John Cage for Guitar Now Available! 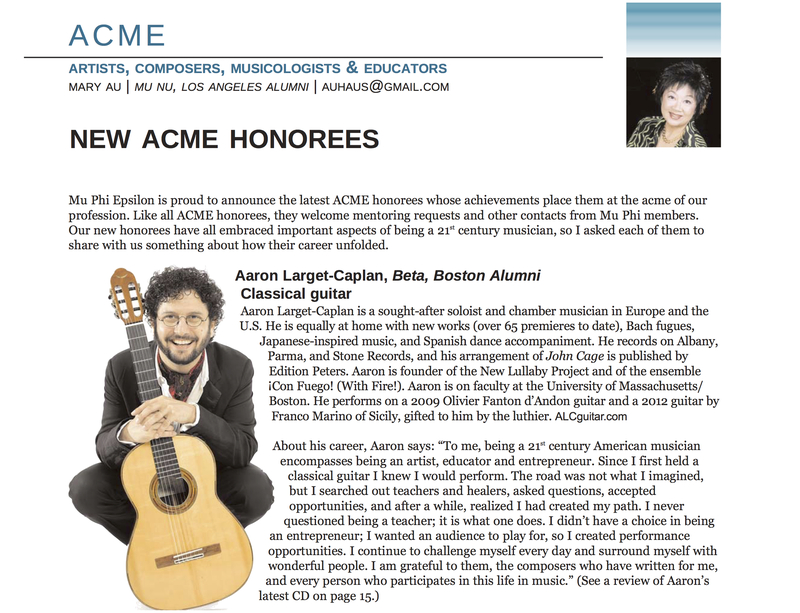 Guitarist Aaron Larget-Caplan is an international touring and recording artist. A sought after soloist and chamber musician with performances in Russia, Europe, and across the USA. He has premiered 78 compositions with many written for him, and he regularly performs his own arrangements of Bach, Scarlatti, Cage, Reynaldo Hahn, and Spanish composers. Aaron, the founder of the New Lullaby Project, and the Spanish dance and music group ¡Con Fuego!, can be heard on Albany, Navona and Stone Records (UK). On faculty at the University of Massachusetts Boston, and formerly at the Boston Conservatory, he loves espresso and searching out hot springs.